Pitches and Notes is an all-women’s a cappella on the University of Wisconsin-Madison campus, and they’re preparing for their fall show on Nov. 17. The group is usually made up of 15-20 girls, and this year there are 18 members, Jordan Gerlach co-music director of the group said. The group was founded about 10 years ago by a group of choir girls who wanted to start their own group. They are newer compared to other groups on campus which they say offers them a unique opportunity. “We’re pretty new… and it’s kind of cool to be able to shape ourselves that way,” Gerlach said. 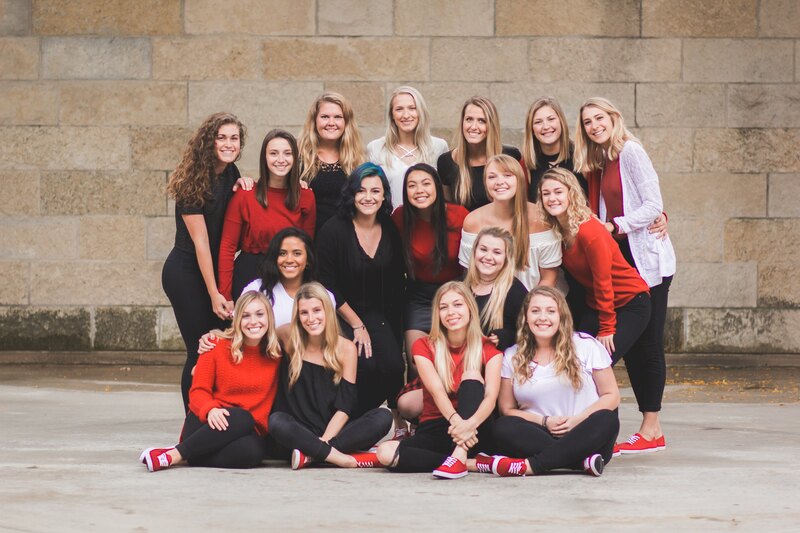 They are currently the only all women’s group on campus that is competitive and one of three on-campus groups that compete in the ICCA which is the International Championship of Collegiate a cappella. As the group’s name hints to, the girls are actually split into two teams, the pitches and the notes. The way they decide who is on what team is similar to a team captain picking their players. There is always some sort of athletic competition before the show, and the Pitches have been on a losing streak for the past few years, Gerlach said. This year, the Pitches tried to pick group members with athletic ability who would help them pull off a win while the Notes focused more on musical ability. For the entire semester, the girls work toward their big final show. The group puts on one show per semester. The group started rehearsals the second week of the semester after they’ve held auditions and have their new members. 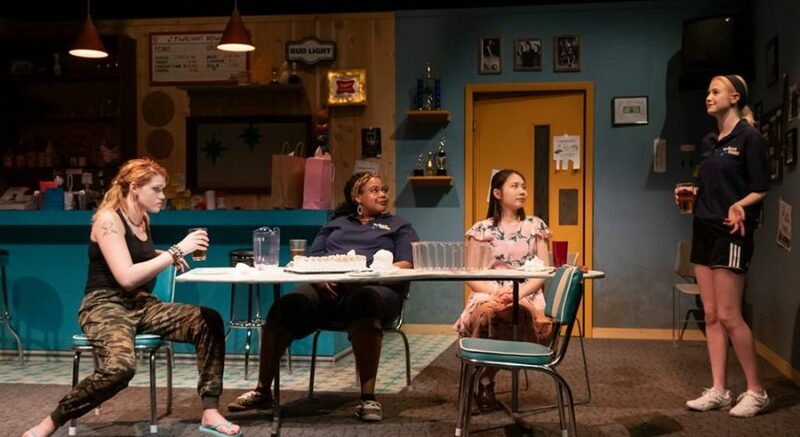 “We rehearse seven hours a week, every week for the entire semester leading up to our show,” Gerlach said. The preferred genre of the group is pop, but the group occasionally throws in classics as well as country. Ballads can also be heard at the fall show. The girls arrange almost all of their own music. Any group member who wants to arrange can pick the song they want the group to consider. Members can also suggest songs and have another group member arrange it. After all the suggestions have been made, the group votes on all the songs and picks the songs they will perform, Gerlach said. Each semester, the group picks anywhere from five to eight new songs that they will cycle through for the next two semesters. This way they always have new songs as well as songs they’ve done in the past. Their shows usually feature around 15 of their arrangements. One of the most exciting things about the show this semester is that the group is going to be working with a professional sound company called A Capella Productions. “They are going to help us take our sound to a really cool new level,” Gerlach said. A Capella Productions is from New York City, so the group is looking forward to the company making the trip out to Madison. The group has worked with the production team in the past, but only when they were guests for another show. This is the first time Pitches and Notes will be using the company for their own use. Midnight Voices is the act that will open the fall show. They are also an all-women’s group made up of high school girls from Madison West and Madison Memorial. They are also an auditioned group and have many similarities to Pitches and Notes. The group will have the opportunity to perform alone as well as with the Pitches and Notes for a collaborative song. 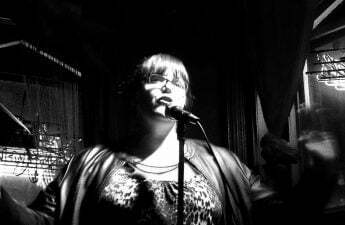 Gerlach was involved with Midnight Voices’ rehearsal process, so she’s looking forward to seeing them perform at a larger venue for a larger audience. Pitches and Notes has a different opener for each show, which is usually an on-campus group. Having Midnight Voices isn’t the only time the group chose to have a non-student org open the show. The group has featured State Street performers in the past. Last semester, there were no openers at all, but emcees instead. 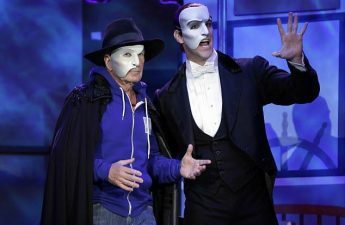 No matter what the act is, the group likes to bring something new and exciting to each of their shows. Aside from on-campus acclaim, the group has won several awards. For the past two years, they have placed third overall in the ICCA quarter-finals which is difficult for an all women’s group. They have also won titles such as outstanding choreography and outstanding vocal percussion at ICCA competitions as well. The group has also been very lucky to have had the opportunity to release two studio albums. “I think the biggest thing with our albums is that you’re able to see the evolution of Pitches and this huge growth curve we’re on,” Gerlach said. They were able to do almost all of the mixing themselves on the second album which is something they had never done before. Currently, the group is in the process of recording their third studio album. This album is being professionally mixed and mastered, Gerlach said. The group hopes this new album will be another stepping stone for Pitches and Notes. The Pitches would be open to doing a competition show between themselves and the Madhatters, an all men’s a capella group on campus. The two groups rehearse at the same time and are always checking in on each other’s progress, Gerlach said. “One of the most fun things about a cappella at UW is getting to interact with all other groups,” Gerlach said. To get information and purchase tickets to the Pitches and Notes fall show, you can message the group on Facebook or email them at [email protected].